Our passionate yoga teachers are all Iyengar certified and collectively they have over four decades of teaching experience. All teachers maintain on-going Professional Development within the Iyengar tradition. Her focus while teaching is about finding balance. She aims to help students explore how they can get the most out of yoga practice, and how to accommodate when energy levels are low, and also avoid forcing too much when energy levels are high. She’s learnt that commitment to yoga requires regular practice, but also an understanding that we all have responsibilities and commitments off the mat. 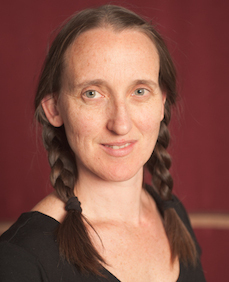 Pash has been studying and practicing yoga with James Bahuth, for over 11 years. She completed her Teacher Training Accreditation with support from James, under the guidance of two of Australia’s Senior Iyengar Yoga teachers, Simon Marocco and John Leebold. Since her first class in 1999, Anat’s passion for yoga has steadily grown. Her practice has supported her through pregnancies, births, motherhood and all of life’s ups and downs, to the point where it is an essential part of her being. Anat has come to recognise yoga’s healing properties for body and mind, with focussed attention and slowing of the breath. This holistic approach shapes an overall positive outlook, as well as good physical health. 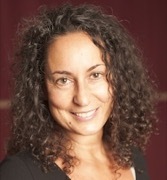 As a teacher, Anat is motivated to help others find what she herself has found in the practice. Anat is now undertaking teacher training with the guidance and encouragement of James Bahuth. 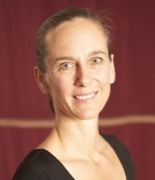 She attends James’s workshops in Bali and Melbourne, regular classes, self-directed yoga and meditation practice. She also assists in a weekly therapy class and works privately with students.